© 2015 Hallandale Chiropractic Center of Hollywood. All rights reserved. 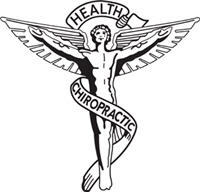 Hallandale Chiropractic Center of Hollywood has been providing high-quality service since we opened our doors in 1968. Every day, we strive to provide you with friendly service and the best experience in the area. Many of our patients are beginning Chiropractic care because they want a natural approach to health, avoiding addictive drugs and high risk surgery. After setting an appointment and arriving for your first visit, you'll enjoy the friendly staff and vibrant atmosphere. By following the Dr.'s advice, millions of patients have enjoyed relief and better health. WE PROVIDE THE BEST LEVEL OF CARE. PERIOD.